BBC Radio 4 - The Briefing Room, Who are the Special Forces? Who are the Special Forces? 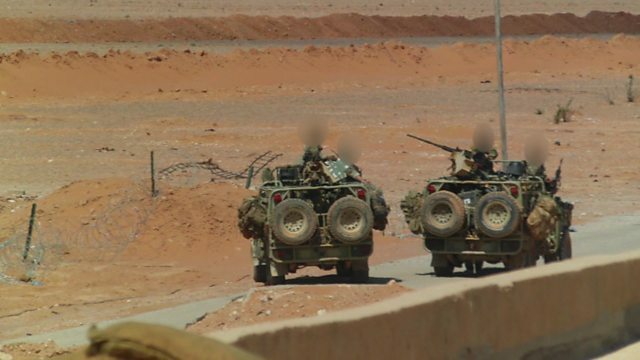 British units are fighting in Libya and Syria, although nobody voted to send them. How have Special Forces developed, and why don't they count as "boots on the ground"? When the BBC obtained exclusive pictures of Special Air Service soldiers fighting Islamic State militants in Syria, the Ministry of Defence refused to comment. British Special Forces are now on the ground in Libya as well - although nobody ever voted in favour sending them, and there has never been a debate in Parliament about it. In fact, it's a long-standing cross-party tradition that the government doesn't comment on the operations of the Special Air Service, the Special Boat Service, and other Special Forces units. In this edition of The Briefing Room, David Aaronovitch calls on expert researchers and former military offers to trace the development and current activities of Britain's Special Forces. Who are they and how many of them are there? Why, when we talk about military operations, do Special Forces not count as "boots on the ground"? And why are their activities so secret?